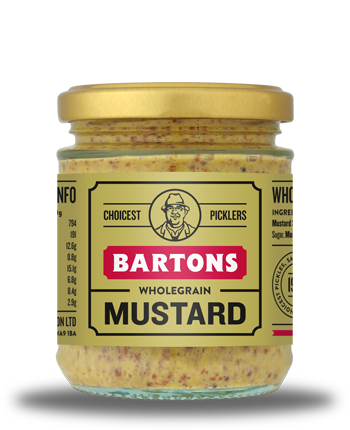 Bartons Wholegrain Mustard is another best loved condiment made from the seeds of the mustard plant, mixed with vinegar and flour to create a brown / yellow sauce. Bartons Wholegrain Mustard is another best loved condiment made from the seeds of the mustard plant, mixed with vinegar and flour to create a brown / yellow sauce. A small amount is placed at the side of a meal instantly adding flavour and heat. 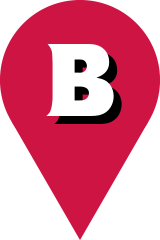 It is eaten traditionally with roast meat at celebrations, on sandwiches or with sausages. For those who need more than a jar, we also have catering sizes. Water, Mustard Seeds (26%), Spirit Vinegar, Sugar, Mustard Flour, Salt, Mustard Bran, Allspice, Cinnamon.